I recently saw that Kat Von D was now loud and proud on some shelves in the UK. Of course i checked it out like many other people and bloggers but i couldn’t help but think that my money could buy 5 of one cheaper thing than one of a very expensive thing. That’s when i thought i would make a little post dedicated to some of my favorite budget buys of 2016. Everything is really affordable, especially for how good they are and everything is a holy grail product of mine. This is the most expensive thing on my budget beauty buy list but there is a good reason for that. I love soap & glory and although some of their products are a little expensive this facial wash is honestly amazing. My skin feels so clean and soft after using it and it has lasted for so long. It isn’t even halfway empty and i got it around 4/5 months ago. I made a whole review on it that you can check out here if you want to find out some more info! I will re-purchase this facial wash again and again for as long as i can. It’s one of my favorite cleansers ever. If you have been to my blog before you know i will try and tell the world about this foundation even when i am talking about candles. I just love it that much. It’s lightweight, it has an amazing coverage, it lasts, it’s at such a good price, it has an SPF, it comes in a huge range of colours and it’s just my favorite foundation ever. Have you ever wanted to eat a body lotion? Because I have. As i ran around on Christmas morning last year shoving this body lotion in to the noses of my loved ones, everyone agreed that they could be convinced to eat it. It just smells like a little bit of heaven in a tub. It has ‘Pistachio, Almond and Sweet Vanilla Fragrance’ inside the tub but i know that doesn’t do it justice. 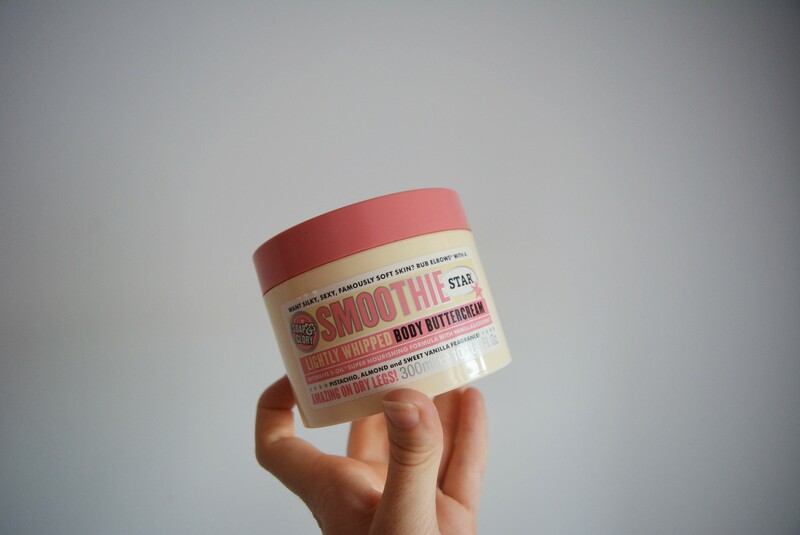 It is one of the nicest body butters ever and although i know it isn’t exactly super cheap, it does last for absolutely ages. I have had this tub since Christmas and i am only just hitting about halfway through now in September 2016. It’s so moisturizing and leaves you feeling as soft as a newborn. Holy grail, holy grail, holy grail! This lipstick is 100 % one of my favorite matte lipsticks ever to walk this earth. I have a whole review on it that you can check out here. It suits all skin tones, it’s matte, it dries beautifully, the colour is to absolutely die for and it’s really inexpensive. I do own petal and vino tinto and honestly birthday suit has to be my favorite. Sleek really came through on this lip creams, but Birthday suit is something else. If you are looking for something cheap, amazing and matte please give it a go because your life may well change (conditions may apply). # Final Budget Beauty Buy! I did a whole review about no clogs allowed that you can check out here to find out a bit more. However, long story short i was a bit confused as to why it didn’t turn blue (huge selling point) but honestly for how good it is, i have let that slide. It’s not super cheap but you only use it once a week and i cannot emphasize enough how great it is at getting rid of pimples and preventing them. At first it is a little strange to use as it does heat up, you find yourself wide eyed and a little bit dazed but once you wash it off and feel your skin, you will understand what i mean when i say ‘miracle worker’.